Exploring nature is sure fun – but what happens if an accident gets you stuck in nature with no food on your hands? This can lead many hungry hikers and adventurers to wonder: What can I eat? What is safe to consume? 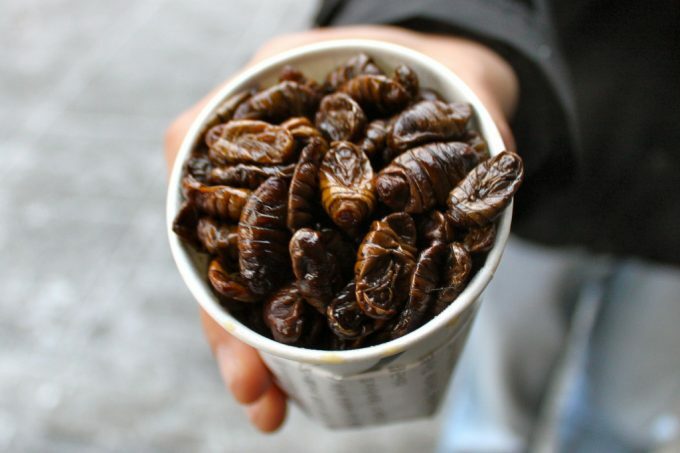 Believe it or not, you can eat bugs. There are numerous edible bugs you can devour on that will not only help to fill you up but also have some interesting health benefits as well. In fact, knowing which bugs are safe to be eaten can even help you survive an emergency! In this article, we will highlight some of these bugs and help you learn ways on how to identify them. We’ve also included some important tips to keep in mind before eating them so you get back home safe and sound! Is It Really Safe to Eat Bugs? Yes, there are bugs you can eat and it is safe for humans to eat bugs, but only certain types. It’s important you don’t just pick up some random bug and start eating it because some are not actually edible. As you’ll read below, there are a few characteristics that these bugs have which can help you to differentiate between good and bad insects. There are a few ways to tell whether that bug that just crawled or flew by is edible. Here are some things to look for to make sure you’re not accidentally picking up a poisonous insect. While that beautifully colored insect you saw might look like a delicious meal, don’t try to catch it. Those dazzling colors are actually toxic because it’s the insect’s way of preventing itself from being the meal of a predator. 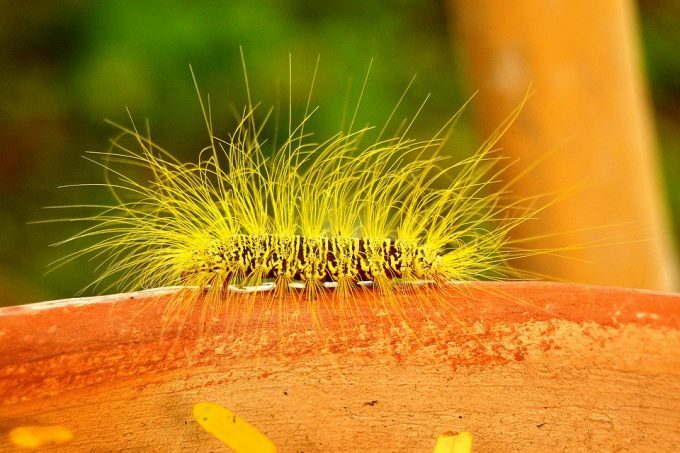 So, if you see a brightly colored insect, it’s best to leave it alone. Eating an insect is unappealing to many, but hearing that it’s a very hairy one leaves many people okay with going hungry for a little bit. However, the good news is that hairy insects are not edible. This is because the hairs likely hide some stingers behind them which can contain poison and/or poke and irritate your mouth. If an insect you think you might like to eat smells a little funny, let it go. That odor is a clear sign that the bug is not edible and eating it could end up causing you to become very sick. Unfortunately, you’re going to have to work hard to catch your food. Slow-moving insects move slowly and carefree for a reason: they’re often poisonous. So while you might have caught a bug easily as it slowly moved along outside, you’re going to have to forget about eating it. If an insect has a hard exterior that’s usually a sign that the bug is not a healthy one to eat. The shell shows that the insect probably has some parasites, which means you definitely don’t want to consume it. Surprisingly, the more than 1,400 insects available for humans to eat have great health benefits and we’ve listed a few of them below. Insects are filled with protein which can easily give you energy and strength when adventuring in the wilderness. In fact, insects are often known to contain most of the amino acids that humans need in order to survive. 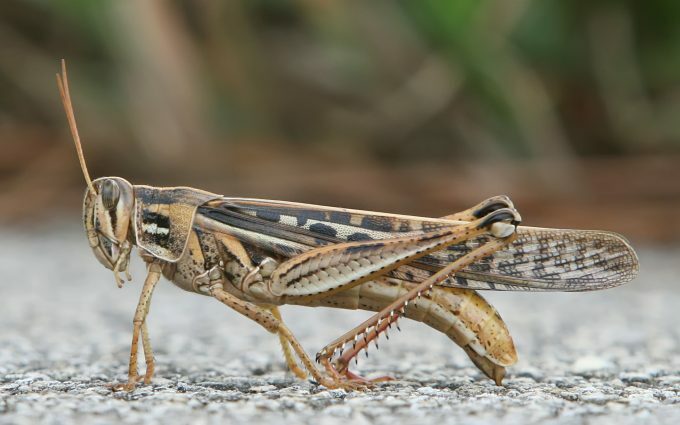 Bugs are often packed with calcium, especially grasshoppers. This can help you to develop stronger bones and even help to prevent and reduce high blood pressure. If you’re looking to consume more healthy fats, you’ll definitely want to try eating some bugs. Insects are basically just one serving of fat which can help to not only diminish your hunger, but help you to be healthy as well. Most edible insects are high in Omega-3s which can help to lower blood pressure and even help to reduce the problems of joint pain. Here’s a list with some of the edible bugs you may find useful for your next trip to nature! 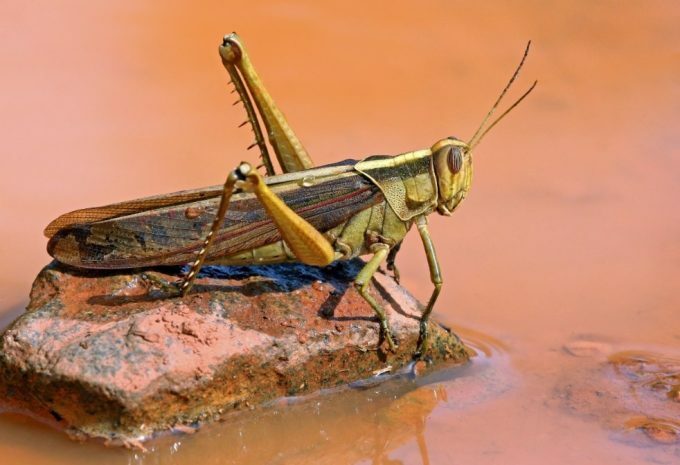 These two insects are some of the most commonly eaten bugs in the world. Many people often say that they both have a shrimp and chicken-like taste. To find these two insects, you’ll want to look under leaves or in tall grasses. While these two insects look very similar, there are some differences between them. 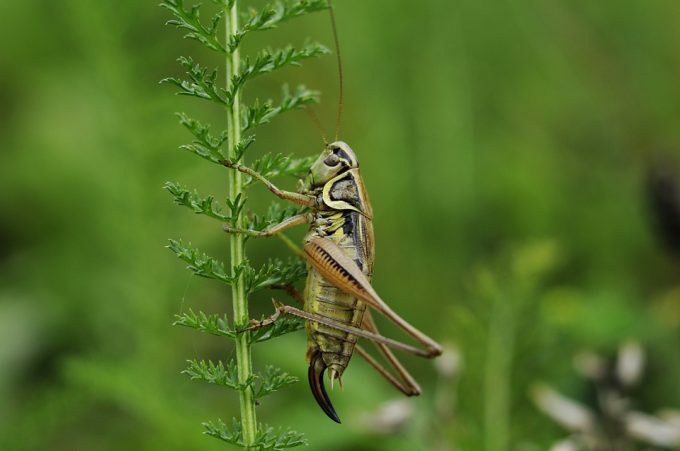 Crickets have long antennae while grasshoppers have long hind legs. If you’re not sure which type you caught, you can use that information to help you identify them. There are quite a few different types of ants you can consume and a majority are edible. Often ants will have a very sour and acidic taste. However, you can boil them to get rid of the acid so they’re consumable. 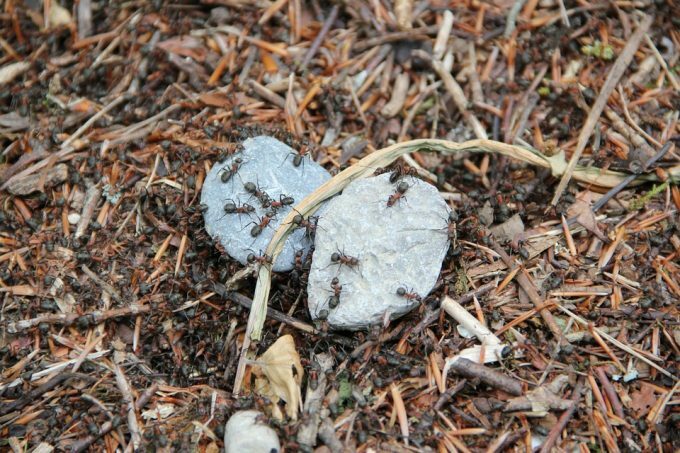 To find ants you’ll usually just need to look for some ants hills. You can poke a twig in the hill so the ants scatter out and you can catch them. While many often think that stinkbugs are poisonous to humans, they aren’t, but they aren’t necessarily the most appetizing. Often the make of this bug can cause some people to have an upset stomach, but it’s not due to anything toxic in the bug. Overall, it’s probably a good idea to find a different bug to consume if possible, but if necessary, stinkbugs are safe to eat. 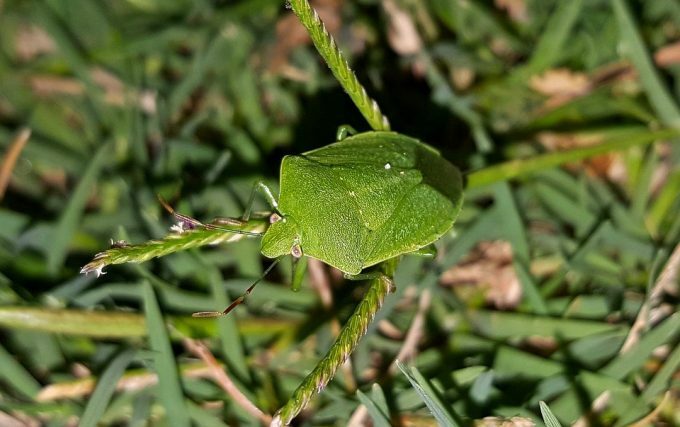 Stinkbugs are commonly found almost everywhere which makes them an easy option. You can usually find them walking around on the ground, in trees, and especially in gardens. 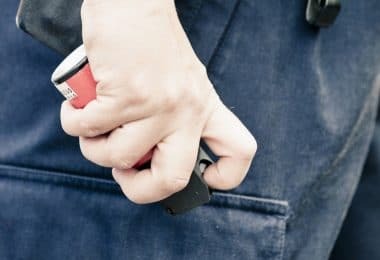 These small insects that often destroy homes and buildings can easily be caught and safely eaten. Because these bugs usually hide in wood, they don’t contain harmful parasites, which means they are one of the safest bugs to eat. These insects tend to have a nutty and carrot-like flavor. If you’re looking for termites, just find some old wood and dig around it or flip it around to find them. 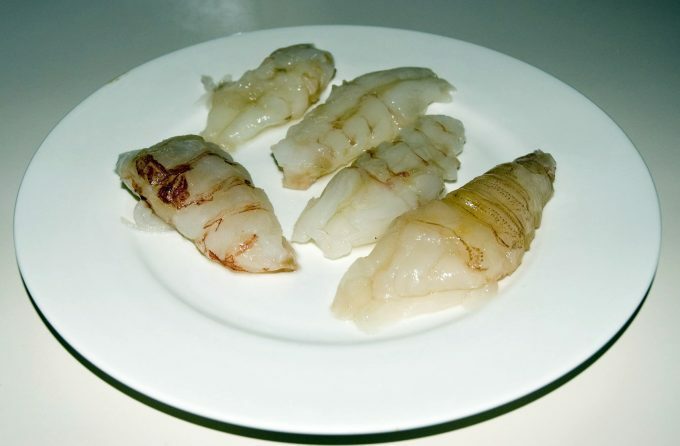 Grubs are one of the few insects that can be eaten raw, but it’s still often best to cook them. 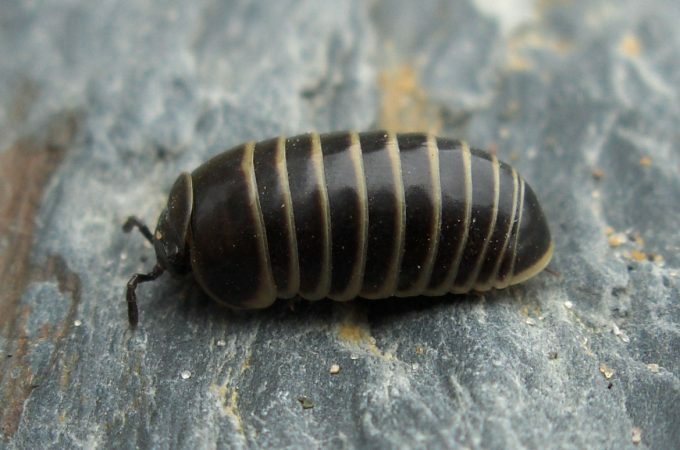 Many people often enjoy the crunchy taste of a roasted grub. The best place to find these insects is under rotting logs. Earthworms are commonly found everywhere, which makes them a very popular option. However, it’s important to know the soil of where the worm was living. Because these insects crawl around and absorb the soil, whatever was in that soil is now on and in the earthworm. So, if the worm was crawling through some contaminated dirt, that worm is most likely contaminated as well. For this reason, it’s important to take careful consideration into the environment that you found the worm, especially if you’re in the wilderness. Besides being buried in the soil, you can also find these worms under rocks. While these insects only appear every 17 years, they are considered to be one of the best tasting insects. 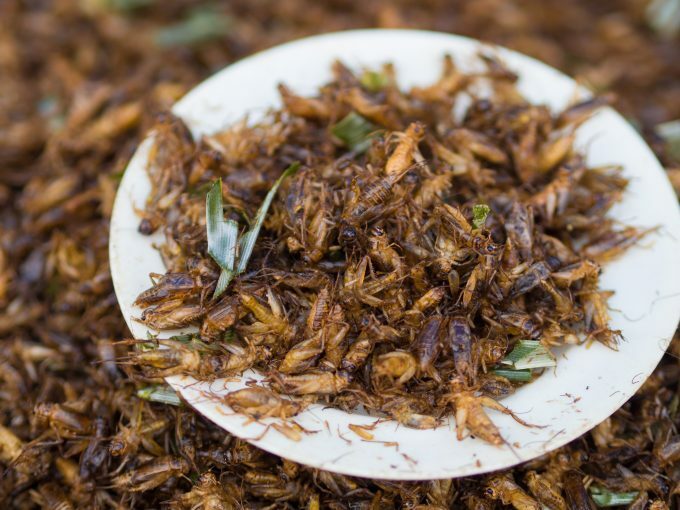 It’s ideal to consume these insects right after they molted as they’ll be softer to eat. 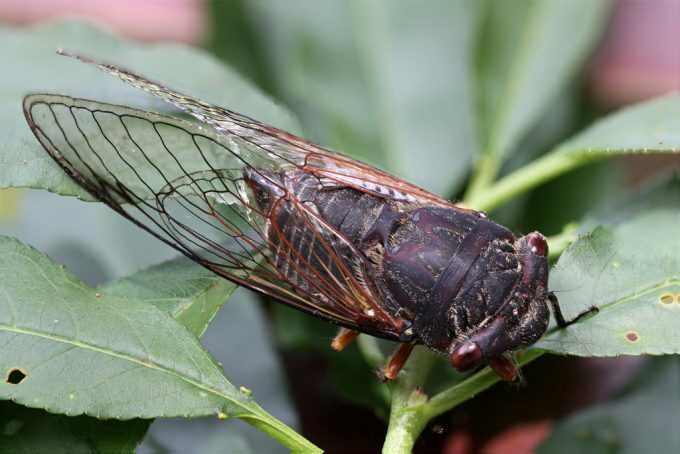 Cicadas are often said to taste like corn. Dragonflies can actually be eaten during all their growth stages. These insects have a crab-like taste and can be boiled to help remove any bacteria or parasites from their bodies. If you want to catch a dragonfly, the best places to do so are areas near the water. Dragonflies love the water and can usually be found resting on grasses or logs near it. If you’re looking for a very healthy edible insect option, silkworms are something you’ll want to consider. 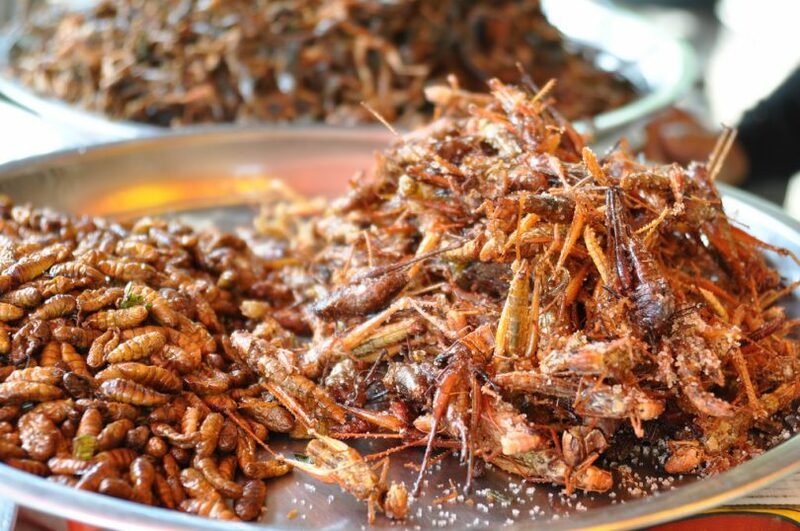 These insects are filled with healthy fats and proteins. You can often find these insects in trees or bushes. 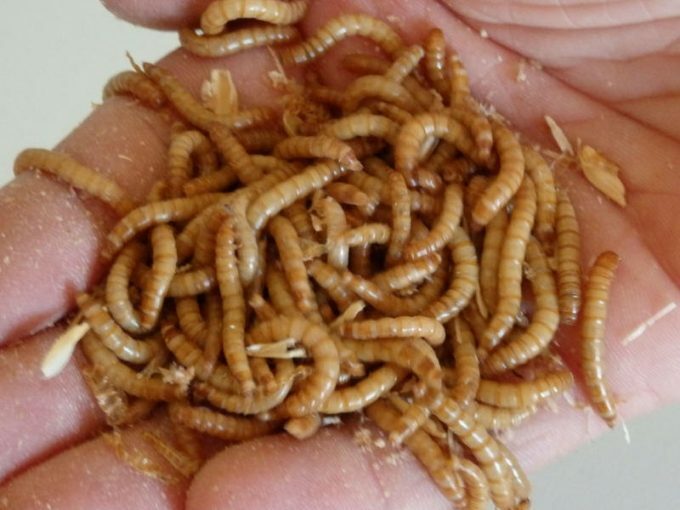 Mealworm larvae are edible, but keep in mind it’s only the larvae. You don’t want to consume any adult mealworms to prevent any irritation in your body from occurring. The larvae are packed with protein which makes them the perfect healthy snack choice. You can often find them under logs and rocks. A unique insect option you can actually eat is the scorpion. To many, this insect doesn’t seem like it would be edible due to its stingers, but it is. However, scorpions need to be roasted or cooked in order to be eaten safely. These insects are usually found in very dry and hot places, like deserts. You can sometimes find them on trees, but they mostly reside under rocks and pieces of wood. Properly preparing the bugs you plan to eat really depends on the type of insect it is. However, there are a few different methods you can use to make sure that the bugs you collected are safely prepared for consumption. For many insects, boiling them is an important preparation step. For instance, earthworms should often be boiled because the boiling water can remove any toxic particles and dirt from their bodies. If you want to add more of a crunchy taste to the insects, you’ll want to roast them. Roasting the insects can also help to remove any bacteria from their bodies so it’s safe for you to consume them. If you happened to bring some cooking oils along with you while outdoors, you can easily fry the insects. 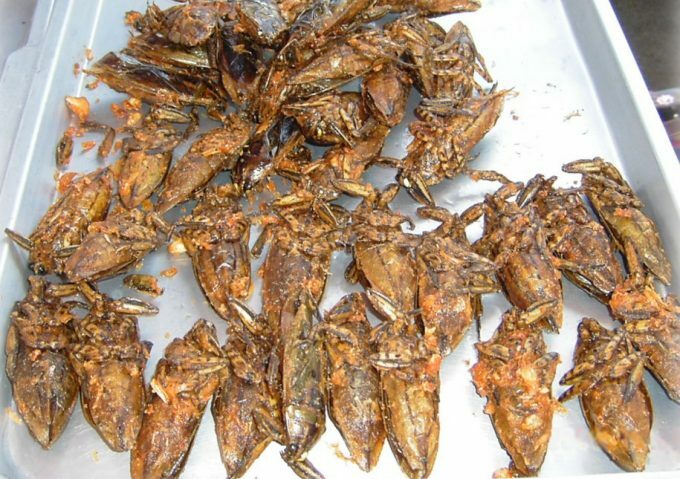 The frying ingredients can give even more flavor to the insect and can help to make eating it a little more appetizing. Eating insects raw is not usually recommended as they might contain some harmful bacteria and other things that could cause you to become very sick. However, in some cases, you can eat insects raw. For instance, some worms and grubs can sometimes be eaten raw. 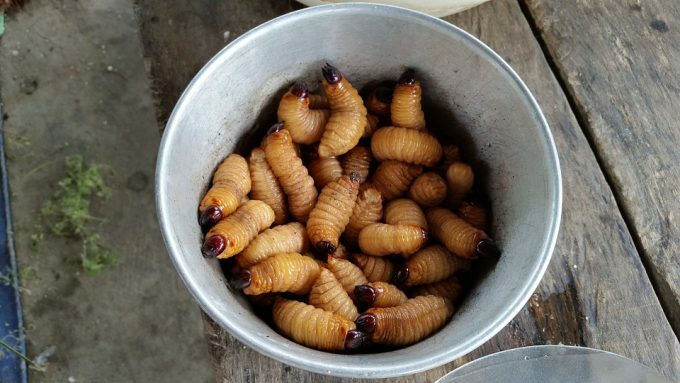 To many people though, trying to swallow a raw worm or grub can be very disgusting, so it’s usually a good idea to cook them. It might sound easy, but trying to catch insects on your own can be very difficult. Below are some alternative methods as to how you can catch some of these quick moving bugs without having to chase them yourself. Bugs are attracted to the sweet smells of fruit. 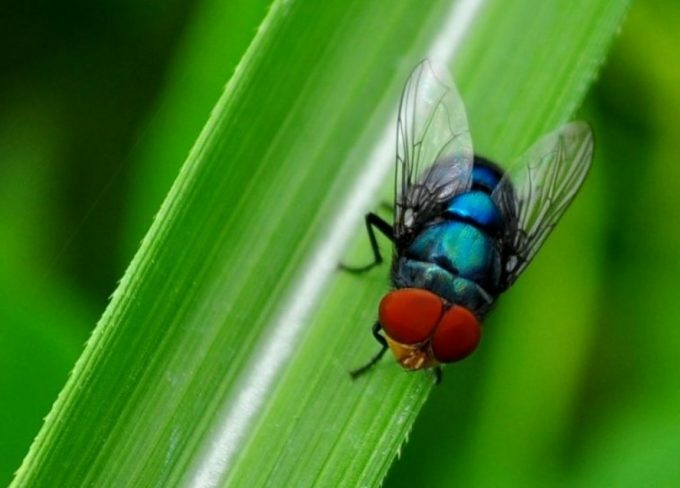 By placing the fruit out on the ground or on some leaves, some bugs will eventually fly or crawl over to eat it. You can also make a fruit trap by putting the piece of fruit in a container and then a funnel on the top of the container. The bug will crawl into the funnel to get the fruit, but won’t be able to get out. 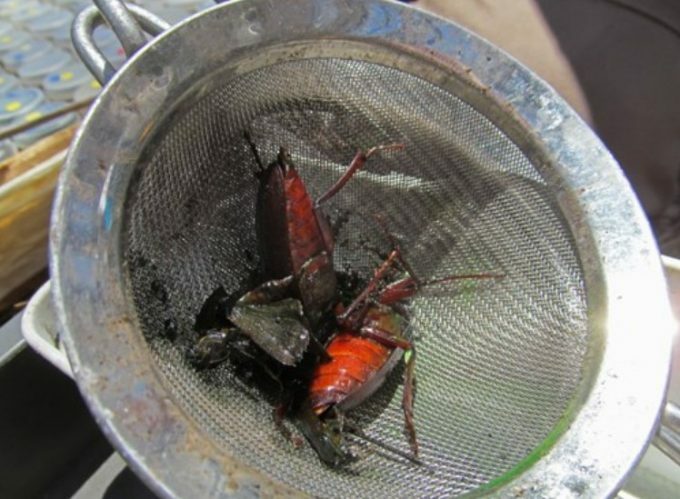 If you’re trying to catch some crickets or grasshoppers, you’ll definitely want to make sure to use a trap like this. Many bugs are attracted to lights. This often due to the lights messing up their natural flight patterns and can sometimes even lead them to believe that man-made UV lights are a flower because of the slight UV rays emitted from it. 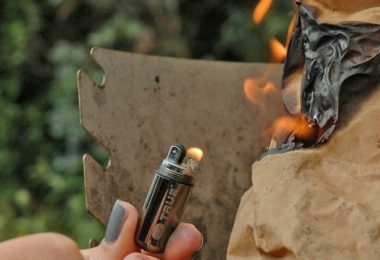 You can often shine a flashlight or even use a fire to help attract bugs your way. Insects are often drawn to water and this method is perfect to use to catch very small insects like ants and termites. The water will help to catch hundreds of these insects and prevent them from getting away. For instance, if you go to disturb an ant hill to catch some ants, thousands will crawl out. It’s impossible to catch each ant one by one as they move around, and trying to do so will only have you exerting more energy than you need to. To prevent this, you can fill up a container with water, disturb the ant hill, and then put the container under the ant hill so the ants crawl into it. Before you know it, your container will be filled with some tasty treats. You can also put some water in a pan and let it sit out. This will attract many different types of insects, like dragonflies, and they won’t be able to escape from the pan. This trap is a container dug into the ground with its opening uncovered. As the insect walks by, they’ll end up falling into it. To make this trap you just need an empty container and a place in the ground you can bury it in. You want to dig into the ground deep enough so the container is secure inside it but also so that the top of it is level with the ground. 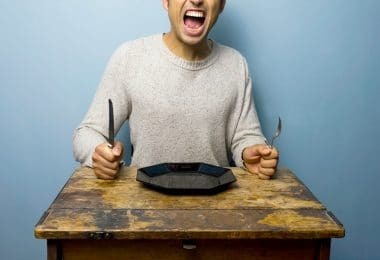 After you do this, you just need to have some patience and wait for your meal to come. This trap is perfect to catch insects like ants. Insects can be easily attracted to different colors. For this reason, you can try to catch some by putting various colorful objects out. For instance, yellow attracts bugs like ants and dragonflies because they are tricked into thinking it’s a flower. Blue is also known to help attract flying insects. There are a few important things you need to make sure you keep in mind before consuming any type of insect. While the section above mentioned you can eat some bugs raw, it’s best not too. Cooking the insects will destroy any bacteria in them and can even enhance their flavor. So, if you’re not that keen on eating an insect, cooking them can at least make them taste a little better. You want to make sure to always remove the head and any antennae and wings the insect might have. 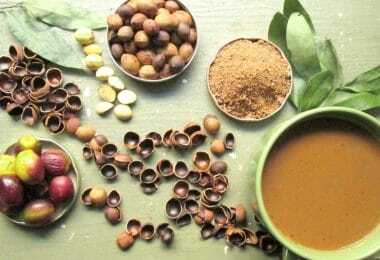 These parts are not often packed with health benefits and it’s not usually appealing to many to eat an insect’s head. Removing these parts can give you more access to their body meat as well so you can eat it. This also can help to make swallowing the bug a little easier. While these insects are often abundant, they also happen to be filled with parasites and other harmful things. These insects tend to gather near unsanitary areas which means they can be very deadly to humans if consumed. To many people it comes as a surprise that a majority of bugs are actually edible. 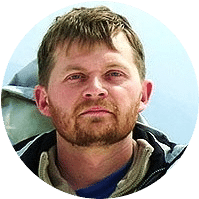 This article highlighted some of the top bugs you can consume when out camping, hiking through the wilderness, or even when exploring your own backyard. Be sure to always keep in mind the important identification tips and cooking methods mentioned to ensure that catching and eating the bugs goes as safely and smoothly as possible. So, if you’re stuck with no food in nature or just want to be adventurous while out in the wilderness, try to catch some bugs. They’re filled with nutrients and can surprisingly be very tasty.